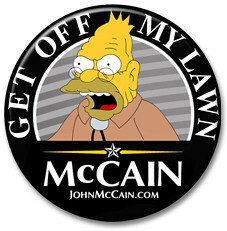 McCain Button – Get Off My Lawn, originally uploaded by Hebiclens. 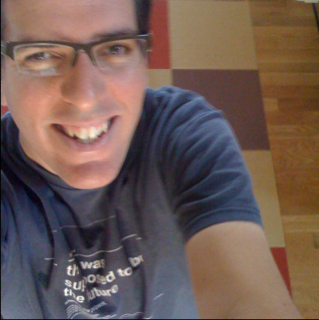 Scalable personal IT for non-geeks? Last month, I hung out with a friend from college that was impressed by the gadgets I carried and how I used them, but didn't have the spare time necessary to set everything up like I have (stuff like moving downloaded movie files to a TV for viewing, being able to check 5 email accounts on your iphone using gmail/imap, etc). After each explanation of how I set things up grew increasingly longer, I realized there's probably a simple business model in place for a Personal IT staff kind of thing for regular users of technology that aren't uber geeks. 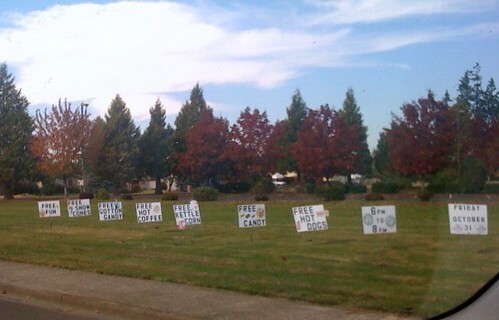 I picture something that isn't the Geek Squad (they only do work piecemeal, right?) but is more like a subscription service, maybe $20 a month, where you as a customer can basically get your home computer and mobile phone updated remotely with the latest time-saving tweaks. I bet someone that reads lifehacker religiously, can do IT and PC Support work, and could figure out a way to do it remotely (either remote desktop sessions, or having customers' computers phone home to grab updates and configuration scripts) could build a pretty nice business off of it. Is there anything like this out there today? This is a fantastic informative video for people new to internet scams. Dad, if you're reading this, please watch it. If you're visiting this site in a browser, you've likely figured out I've moved to Typepad and there are a few bugs in commenting, in my archives, and in my feed (feed still points to my old blog and permalinks). Things should be working as intended soonish. update: yay, everything seems to be working now. Comments are out of order on my old imported posts, and I don't currently have URL redirection for old WP urls yet, but everything basically works again and I'll likely be posting much more because heck, Typepad is kind of fun and easy.